With the new year right in front of our noses, it’s time to look at what 2015 marketing trends might hold. Thankfully, many agencies are happy to provide their predictions. 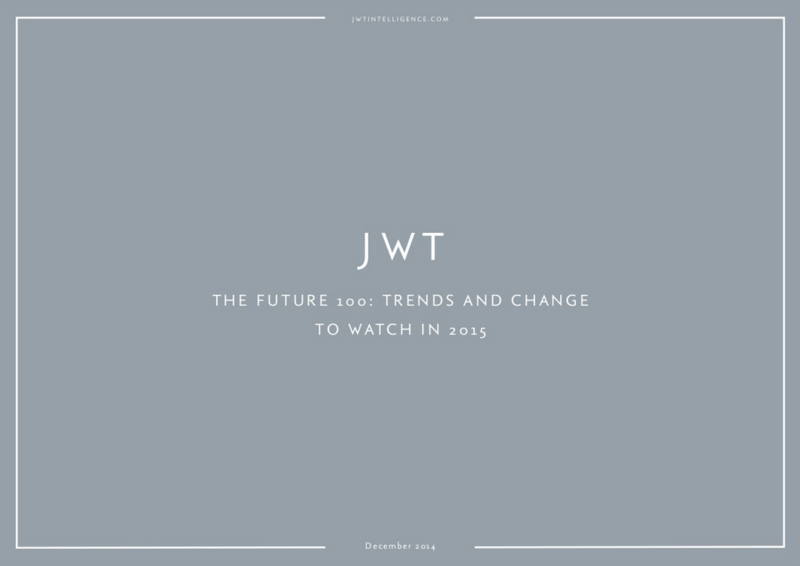 One of the more extensive looks into the future (110 pages) is served by JWT Intelligence: The Future 100 offers a glimpse into trends in food, beauty, retail and more. And obviously, it is mostly about our favorite target audience – the Millennials. It makes for a good (holiday) read and will probably give you at least one idea for 2015.